No rules, no memorization. 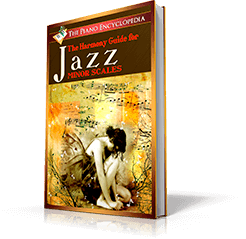 Discover the hidden patterns of music and learn how to improvise, play by ear, and create your own music through easy step-by-step lessons. 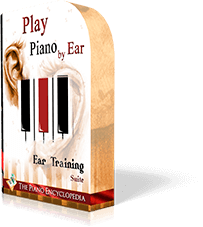 Play the piano like you always wanted. I’m amazed about how easy is the software I received and also I liked the colors and design. Believe me, I know a lot of ideas for piano online learning, but I can make you assure that now I’m feeling on the top of the wave! This course is by far the best course I've done! I'm completely sold at this course, and to make things even better, the staff and the help from the creators is outstanding. I'd give this course 12 / 10 if I could. I'm looking forward to improve my improvisation skills, and your course has shown a much simpler approach. The presentation of your product is quite amazing and easy to follow! 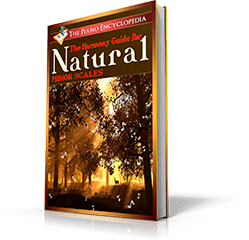 The course is so well put together that the following is obvious and very easy to understand. Great course. 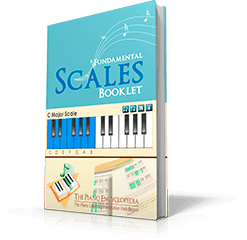 It has made me understand intervals, chords and scales better than any other program! I use it every day after work and I've learned a lot, and I'm still learning from it. You teach theory in a very easy to understand way, and I can't thank you enough. The course has and continues to surpass my expectations of all that is included. To answer your question would I consider being a beta tester for new courses, I would be happy to do what ever I can for you. Like you Rod, I have been through many piano teachers, none of them took the time to break down the theory, which is so so important. 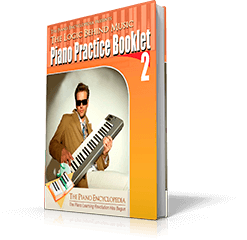 Thanks, your interactive teaching is bar-none the best I've come across in all my years of trying to master playing the piano. I got the full course and love the superb quality of the lessons, animations and overall interface. I can really see how "The Logic Behind Music" is going to make me a much better musician and producer. It is really the first time that a course has brought me such satisfaction. Chords, intervals and scales were clear and comprehensible for me. Rod, I must tell you, your course is fantastic for simplicity. Thank you. I would like to congratulate you for the success of this project. I have found it to be quite useful. I am eagerly awaiting the complete reports as the first one only seems to be an appetizer. I wish you well for the future! I am a travelling Evangelist and I always wanted to minister in songs, but have been locked down with traditional music learning methods. Your methods look like what I have been waiting for! I really like the way you use intervals to explain music. 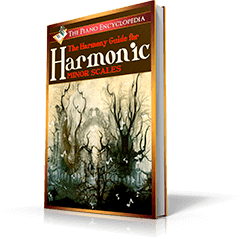 It transforms my piano from an instrument that plays sounds to an instrument that speaks and and express a language in which I determine the message through understanding intervals. Rod, you have my sincere appreciation for the fantastic job you have done. As a retired engineer, I need to see the big picture to understand what I am doing. This makes learning keyboard so much more interesting. Thanks again. I just want to thank you for the 111-Pages report. This has cleared up a lot of things for me. I have played piano in our church for 20 years, with only few simple chords. I have always wanted to learn more and thanks to you now I can. As a kid was naturally opposed to any kind of meaningless memorization. My passion for music never died and luckily, I found your course which gave me new hope. It’s been couple of days now and I enjoy it immensely I loved for instance, how much you offer to think in terms of intervals. I totally got it. It feels like a good start of getting to know the music in deep. Everything is described clearly and in a way that helps not to give up my efforts. I am way satisfied with the “Music Fundamentals”. Keep up the good work! I’m very happy, and thanks very much for this special eBook. It’s wonderful. My instrument is folk harp and classic harp, and this method is excellent to play it better and to learn more. Thanks very much! 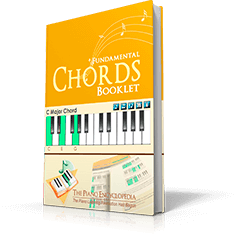 I enjoy very much Music Fundamentals and also The Encyclopedia’s Piano Charts Piano. I have done it with my own means. Thanks to God that exist people like you, which they share his experience and knowledge. I really enjoyed going through the Music Fundamentals (PT 1) booklet. I just bought another one and will restart studying but this time on my own, as I don’t have much time anymore either for lessons but your booklet was very interesting. Many thanks for your revolution, the mother music bless! It could have some execution basis of the most romantic instrument of mankind. This revolution began the first step very good, piano for all! 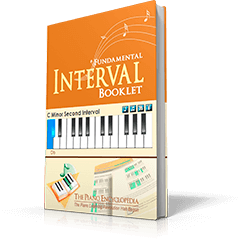 At 50 years old, I had 30 plus years as an adult student where I never understood intervals. Now I do. The explanation was perfect, and I am completely satisfied with the material. I have study a little and the little I have studied is great. I am an advanced pianist but you never can indulge into enough view pointers and ideas creating better licks and riffs to improve one’s improvisation. Thanks! I just wanted to say that I am really glad I found some excellent material online. I am a piano student, beginner. It helps me great deal with the basics I was having loads of trouble with it because I don't get much more explanation during my classes. This is the best of the best! Can't say enough thank you for the piano-mojo. 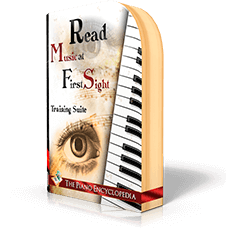 With the mind (of Piano Encyclopedia) and heart will give you a perfect combo to express yourself on the keys. I say Rod for President, you got my vote now. This section was really incredible! When I started playing piano. My teacher was really impressed that a beginning pianis would take it upon themselves to do that, but I can at least attest that it really paid off immediately. Enjoy every single lesson for two full months. Not happy? We'll give you 100% of your money back - with no questions asked! Paula O. from Los Angeles is on lesson 23 of The Logic Behind Music, discovering how to compose music. Loves Jazz. Shunji K. from Seoul is on lesson 70 of The Logic Behind Music, learning advanced composition skills. Loves Blues. Bryll P. from Oakland is on lesson 15 of The Logic Behind Music, discovering how to improvise music. Loves Rock. Maria S. from New York is on lesson 10 of The Logic Behind Music, discovering how to play by ear. Loves Gospel. Jedaia N. from Kansas is on lesson 57 of The Logic Behind Music, discovering how to improvise music. Loves Pop. Symun B. from Ontario is on lesson 70 of The Logic Behind Music, learning advanced in playing by ear skills. Loves Classical. Jasim R. from San Francisco is on lesson 37 of The Logic Behind Music, discovering how to improvise music. Loves Pop. Wilmar F. from Charlotte is on lesson 60 of The Logic Behind Music, learning advanced in composition skills. Loves Jazz. 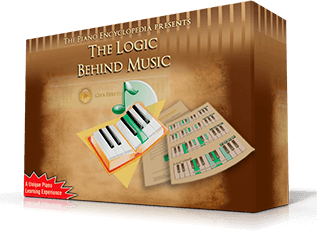 Glynford B. from San Antonio is on lesson 7 of The Logic Behind Music, discovering how to compose music. Loves Blues. Jonathan S. from Toronto is on lesson 50 of The Logic Behind Music, discovering how to improvise music. Loves Gospel. Joshua C. from Seattle is on lesson 64 of The Logic Behind Music, learning advanced in composition skills. Loves Blues. December 5th Celebrating Wolfgang Mozart's 227th Anniversary. October 17th Celebrating Frédéric Chopin's 169th Anniversary. July 28th Celebrating Johann Sebastian Bach's 268th Anniversary. July 11th Celebrating George Gershwin's 81st Anniversary. June 10th Celebrating Ray Charles' 14th Anniversary. March 28th Celebrating Sergei Rachmaninoff's 75th Anniversary. March 26th Celebrating Ludwig van Beethoven's 191st Anniversary. March 25th Celebrating Claude Debussy's 20th Anniversary. Learn what all great musicians know but teachers never tell you. 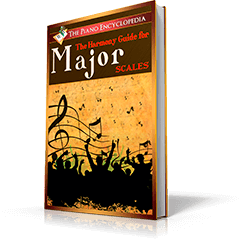 Get started with free lessons that will show you what is needed to be able to improvise, play by ear, and compose music - step by step.